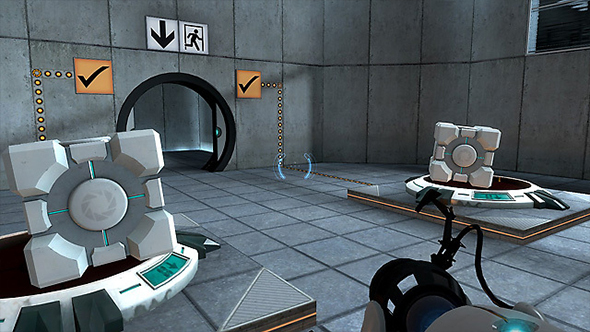 When Valve showed Portal to publishers and distributors ahead of the release of the Orange Box, they were warned again and again that the game would have limited appeal. “We were often told that we’d made a game that would really appeal just to female gamers, or to people who weren’t into shooters, and so on,” Valve’s Robin Walker tells Rock, Paper, Shotgun. Will we ever see Left 4 Dead 3? Here’s what we want. Yet that’s the road Valve chose for themselves. Walker has been making the rounds as part of the Orange Box’s tenth anniversary, and the release of the compilation might just be the moment that Valve’s fortunes – and the entire PC gaming space – changed forever. Team Fortress 2, Half-Life 2: Episode 2, and Portal were all coming to their final stages at the same time, and Valve’s flat structure meant that individual developers weren’t eager to put one project in priority to settle what order the games would release in. The solution would end up being a single package combining three titles – oh, and also Half-Life 2 – into one. It solved more than just the release date problem, too. Valve had trouble getting retailers to see the value of smaller games with Episode 1, since a packaged game at a $20 price meant lower margins on each copy sold. Episode 2, Portal, and TF2 all would’ve been smaller games on their own, but together they made up a full release. And despite the warnings that Valve should focus on their demographics, the three games ended up complementing each other. A short but involved traditional single-player shooter, a wildly experimental new game, and a full multiplayer experience. You can then perhaps point to the Orange Box as Valve’s final realization about the value of digital distribution, and given that it was technically little more than some Steam codes for a variety of excellent games, it may just have been their Trojan horse to completely redefine how PC games were sold. Of the individual games in the box it’s likely Portal which has had the most enduring legacy, and even if the jokes have been beaten to death by the hammers of the internet, they’ve endured because they were so memorable in the first place, warnings about limited appeal be damned. It seems that the Orange Box exists primarily because of small problems like that, which Valve addressed with only the most creative solutions. You can look at the Orange Box as both the end of an era and the start of a whole new one for Valve, though the fresh start does mean we’re, er, missing something.